The System Seven™ MVP2500 series of masks are recommended for college though youth catchers. 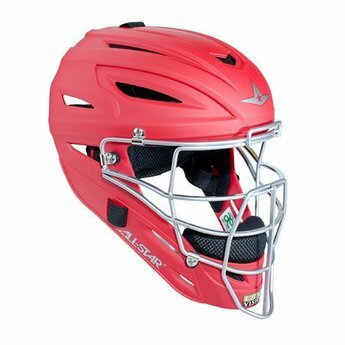 This mask features an I-BAR VISION™ steel cage, a high impact resistant ABS plastic shell with increased forehead thickness, a backplate designed to keep the snaps on, and a breathable 3D mesh padding liner. The bars on the cage around the eye openings are flatter for increased range of view and to make the bars stronger. Instead of using a round steel bar, the I-BAR VISION™ cages utilize a flat bar, comparable to an I-Beam used in building construction.